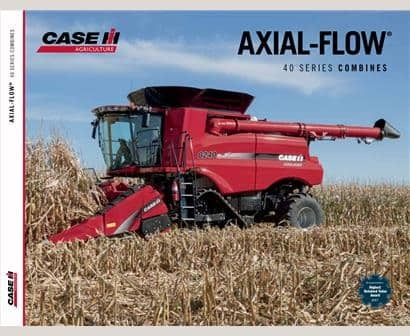 Case IH Axial-Flow 240 series leads the industry in productivity. With fewer drive components, an industry-leading AFX rotor and the ability to adapt to over 134 grain types, Axial-Flow combines are engineered for simplicity and reliability. Simplicity. Crop Adaptability. Matched Capacity. From header to spreader, Axial-Flow series systems are carefully matched to ensure efficiency and productivity. The Axial-Flow line represents simplicity and reliability with the fewest drive components and longest service intervals in the industry. It also leads the industry with features such as the largest cleaning systems, most innovative drive systems, and largest selection of heads. Get the job done right with high-capacity features and heavy-duty rotary feeding systems. Enhance crop flow and improve feeding into the combine, resulting in smooth crop flow and reduced wear. 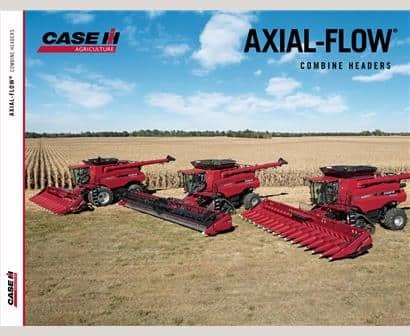 Whether you want simplicity and convenience or superior control, Case IH Axial-Flow combines are available with the rotor technology that is right for you. Featuring our innovative Power Plus CVT combine drive that is belt-free and low maintenance, the design offers unique in-field capabilities to help you harvest more of what you grow. We pioneered single rotor development back in the 1960s. Since then, refinements, enhancements and improvements have led to the pinnacle in rotor performance — the AFX rotor. The AFX rotor can be set into many configurations, adapting to both crop and threshing conditions. High-capacity combines need large high-capacity cleaning systems. Axial-Flow combines match cleaning system capacity to the size of the machine, providing superior productivity, grain sample quality and savings. The patented design of the Cross Flow™ cleaning system fan delivers consistently clean grain samples no matter the harvest condition. The result is exceptional grain quality, ideal for food-grade crops or crops grown by any producer who demands the most from his/her machine. The Case IH residue management system is built to handle the tough residue associated with new crop genetics. This system delivers consistency across the larger header widths used on the Axial-Flow 240 series combines, helps prepare the ground for next year’s crop and can create consistent windrow formations and long straw for baling. From tillage to livestock demands, we offer the widest range of residue management features on the market. Large grain tanks, longer augers and quick-folding tool-free grain tank extensions are standard on all Axial-Flow combine models — resulting in more efficient field operation. With one of the largest and quietest cabs among the foremost combine manufacturers, the Axial-Flow cab gives you industry-leading glass and unsurpassed sight lines so you can keep an eye on the entire header. With its ergonomic and intuitive design, you get maximized comfort and productivity. Climb up and enjoy - this is what leadership looks like. Eliminate Guesswork. Elevate Your Harvest. The factory-installed AFS AccuGuide™ autoguidance system offers unsurpassed accuracy and convenience, allowing you to maximize production. Building the system with the combine at Case IH ensures correct installation, testing and a higher level of quality. It also eliminates waiting for a technician to install additional components. The autoguidance system simplifies and improves your work efficiency. Through customer-driven input, Case IH is committed to making your job easier, so you can maximize productivity. With 403 hp and 315-bushel tank, the Axial-Flow 7240 combine delivers superior performance and capacity. Grain Tank Capacity: 315 bu. Grain Tank Capacity: 350 bu. ​Configure and price your new Axial-Flow Combine. Customize it the way you want. 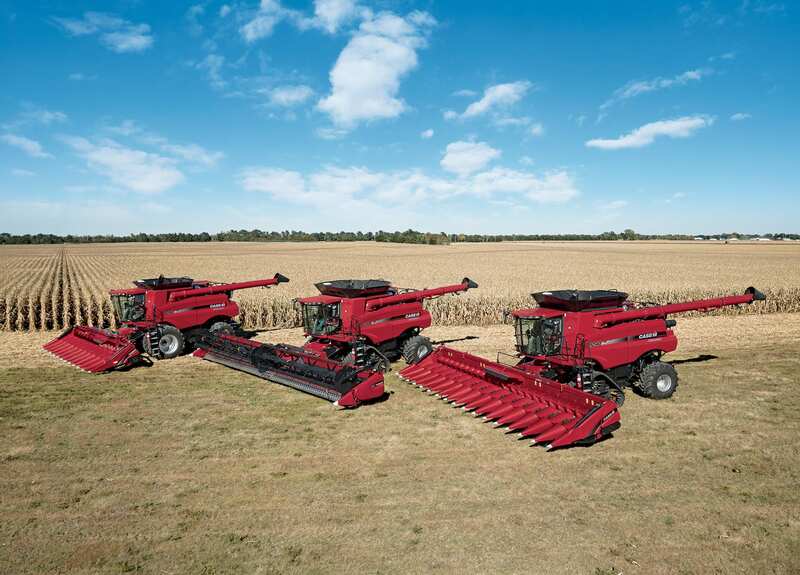 ​Compare our Axial-Flow Combine specs to other manufacturers' specs.